Art Process is Local Dublin Art Studio : www.theArtProcess.net. Artists from Grades Prek-12 learn & create amazing Artwork at studio since 2013. 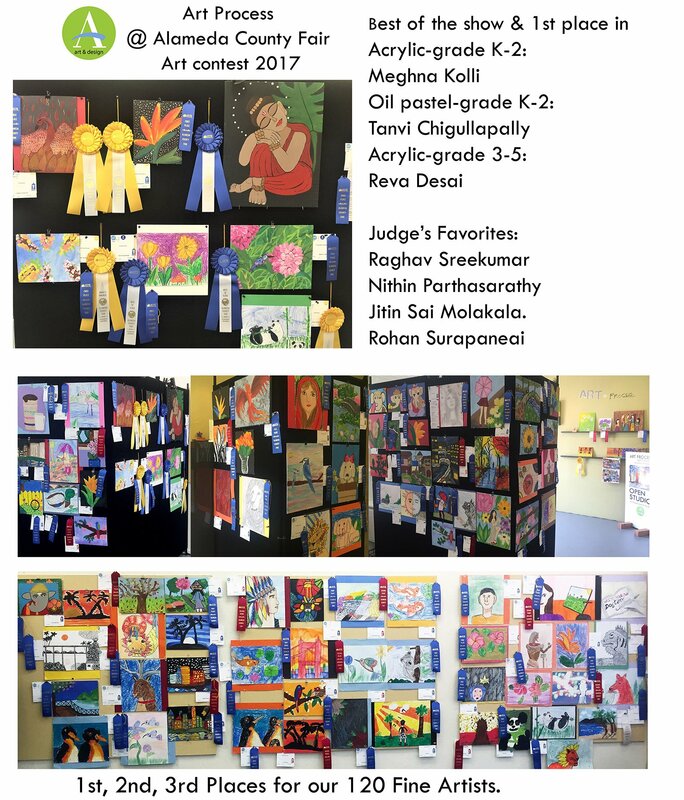 In recent Alameda county Fair 2017 Art contest & Art show/Exhibit; 120 of Art Process Young Artists received 1st, 2nd place, 3rd place Awards. Studio is proud recipient of 4 Judge’s Favorite Awards And 3 Best in the Class (medium of artwork) Awards. Studio Celebrated it’s Young Artists achievement on September 3rd. with Exhibition & meet & greet event – to cheer Alameda county Art contest success + National Art contest where 93 of Studio Fine Artists were selected to be published in a national Art Anthology, With 7 Artists in high Merit list. After the grand Holi Dhamaal in 2010 organized by TVIA in the Emerald Glen Park in Dublin, we saw no one coming forward to organize one last year, and of course not this year as well. Holi sure is a fun time. Its one time when even strangers from the community can come together and get playful with each other. Bonhomie, dance, music is in the air. The fun is unique in itself, and sets up a good, interesting instance of an Indian festival for children. If we don’t see an impromptu gathering in the Emerald Glen park, or elsewhere in the Tri Valley Area on the weekends of 10th/11th March, or even the next one, lets see if some of us would like to step up in ensuring we don’t go without one next year (2013). Please participate in the poll below, if you can. Please provide an update for others if you or some group you know plans to get together to throw some colors for this year as well. Please contact admin[a]trivalleydesi.com if you would like to help organize next year. 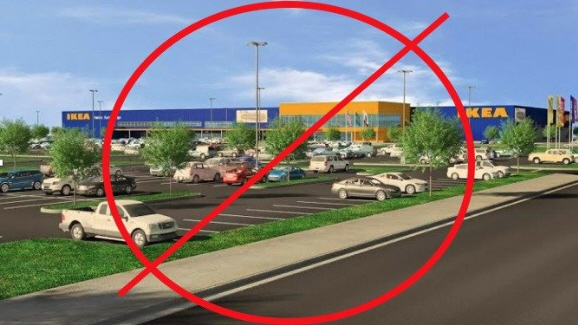 The ‘melting pot’ that is America is at no time more evident than during the holiday-season. It reaches the crescendo at Christmas, when, whatever your ethno-religious background, you just don’t want to NOT be a part of all the revelry. What does it then mean for non-Christians, especially as you see yourself doing more for Christmas, than for your own festivals? Shalaka Gole, a budding student of journalism from California High School in San Ramon lays it out rather nicely in an article posted on December 23, 2011 in San Ramon Patch . There is nothing like the voices of Dean, Bing, Ella, Frank, and Judy to ring in the holiday season. This year, I started listening to Christmas music on Nov. 28. Our family’s old prelit tree stands decked out in the corner as early as Dec. 4th. And I was planning Christmas presents to my friends before Thanksgiving. This is all pretty standard American stuff, but I did all this disregarding the fact that I was raised as a Hindu in an Indian house. I wholly subscribe to the American idea of Christmas, along with my immigrant parents and little brother. We do dress up and cook for Diwali, every year. But Christmas presents are also the norm, decorating the tree is a major event and Santa came for my little brother for 10 years. We have been willingly sucked into the commercialism and culture of the season, and I’m not terribly sorry. I used to feel guilty about liking Christmas and felt like I was trying to fit myself into an idea of Christianity that I don’t believe in. I wasn’t sure of what it meant for me to love Christmas, a holiday that wasn’t really mine to celebrate. But I’ve started thinking of Christmas as a culturally American time, where different kinds of people can come together for many different reasons. To some it may rightfully mean the celebration of the birth of Jesus, but to others like me, it means the mood and actions of all those around me. There is something about the feeling of the holidays that makes the cold air less biting and puts everyone in a better mood. People smile more, sing more, count their blessings, and give to others. At school, I see Jews, Christians, Hindus, and religiously confused teenagers alike talk about how much they love the atmosphere. It’s cliché, but I think the cliché stems from truth. I think Christmas can be said to embody America, commercialism and a profit-driven mentality mixed in with charity and good feeling, shared by those of all ethnic backgrounds. It has become a holiday anyone can celebrate, and include or leave out the pieces they wish. This year, I’ll spend Christmas weekend eating a home-cooked Jewish meal, opening presents, listening to Sinatra and sharing with my Jewish, Chinese, Indian, Filipino, and Christian friends, making it a truly American holiday. Its Karvachauth time, again. If you live in the Tri Valley area, this year (2011) as well you can head out to Livermore Temple for the Karva Chauth Puja / Katha. There will be three sessions on Saturday, Oct 15, 2011 – including at 5:00 PM and 6:00 PM. The pooja sessions can be joined only in the beginning, else one would need to wait for the next session. Within Bay Area, Sunnywale, Fremont Temples typically have huge gatherings of women coming coming in the evenings for Thali Puja. In the Tri-Valley area, the Livermore Temple is slowly but steadily becoming a nodal point for this north-Indian style puja as well (even as its predominantly a Venkateswara temple). Mehndi/Henna – Putting Mehndi on the day, or the day prior, is also a big part of the tradition. Can’t see someone professional catering to the Tri Valley residents. So its either Do-It-Yourself, or there are other places in Bay Area to head to for about 25 bucks: Lovely Sweets-Tisha (Fremont) – 510-396-7501, or Sadia Fashion House (Fremont) – 5109968062, and probably many others. There is special food for this festival too. Most of the grocery stores or “Sweet Shops” (like Cafe Tazza) in Dublin/Pleasanton will carry the stuff – Matthi (mostly sweet), Phenia-Jalebi, Cocunut, etc. is traditionally required. At least in northern India, this festival has become a big fun (and big money and more!) event (beauty treatment and spas in Ludhiana, botox for Karwa Chauth in Delhi, and and even a Karvachauth mobile app that turns the screen of your phone into a ‘sieve’ / ‘chalni’, through which one can see the moon). There apparently are no big events or get-togethers that have caught up here, but don’t be surprised to see desi women, probably traditionally attired, in movie theatres in Hacienda and elsewhere during the day this time around! 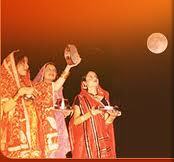 Get togethers in the evening to watch the chand (moon) together has become quite common, followed by dinner pot lucks. The last thing is the big wait for the moon – that, especially on this day, seems always to play hide and seek. Moonrise on Oct 15 this year is slated to be at 8:38 PM for San Francisco. About: Karva Chauth is an annual one-day festival celebrated by Hindu and some Sikh women in North India and parts of Pakistan in which married (and some un-married) women fast from sunrise to moonrise for the safety and longevity of their husbands (or future husbands). 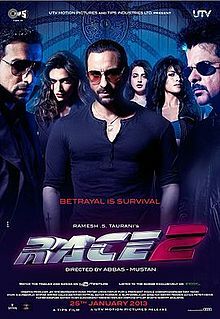 The fast is observed in the states of Punjab, Uttarakhand, Uttar Pradesh, Himachal Pradesh, Haryana, Rajasthan and Gujarat. 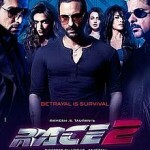 The festival has become a big deal with Indian diaspora, including in US. Last week, Pleasanton, Dublin and Danville have been redistricted in the Congressional electoral map. 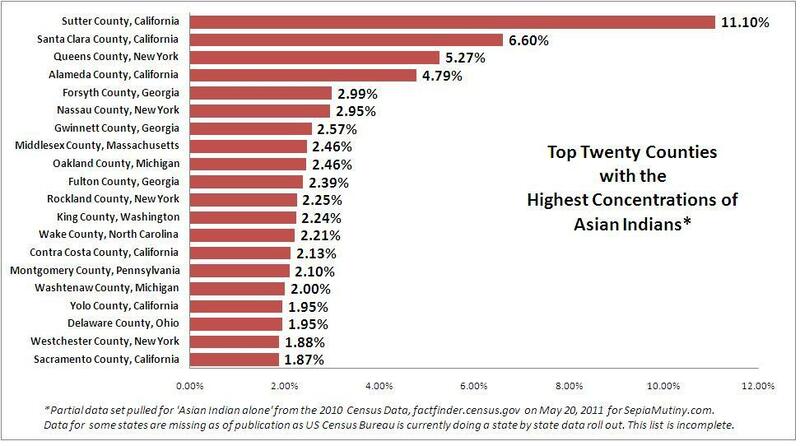 And this suddenly creates a possibility that we may see the third ever Indian-American getting elected to the U.S House after Dalip Singh Saund (1956)and Bobby Jindal (2004). So what’s the scoop, and who are we talking about here? A young Indian-American is now challenging established norms in an audacious bid to win a seat in the U.S House of Representatives. Ranjit Gill, a law student at University of California in Berkeley is just 24 (he’d have crossed the qualifying age by election day), but he’s drummed up a war chest of nearly $ 500,000, the third-highest in the country for a Republican challenger, forcing the party leadership and political pundits to take notice. If Gill can pull it off, he will be the youngest U.S Congressman since 1797. Gill, known locally by his nickname Ricky, is aiming for the Ninth Congressional District in California, which is currently held by Democrat Jerry McNerney, 60, an engineer from Pleasanton now serving his third term. Normally, few would have given the Indian-American upstart any chance, considering the monotonous regularity with which incumbents, riding on the odds stacked against challengers in terms of raising money and nursing constituency, are re-elected. But a growing anti-incumbency mood coupled with lucky breaks in constituency redistricting offers Gill a sniffing chance. An electoral map approved this week by California’s bipartisan Citizens Redistricting Commission will include more of San Joaquin County, where Hispanics outnumber whites, while cities like Pleasanton and Dublin (McNerney strongholds) have been moved to other districts. Local pundits say the changes have dropped areas that Gill knows nothing about (read Dublin, Pleasanton) and constituents who know nothing about him. 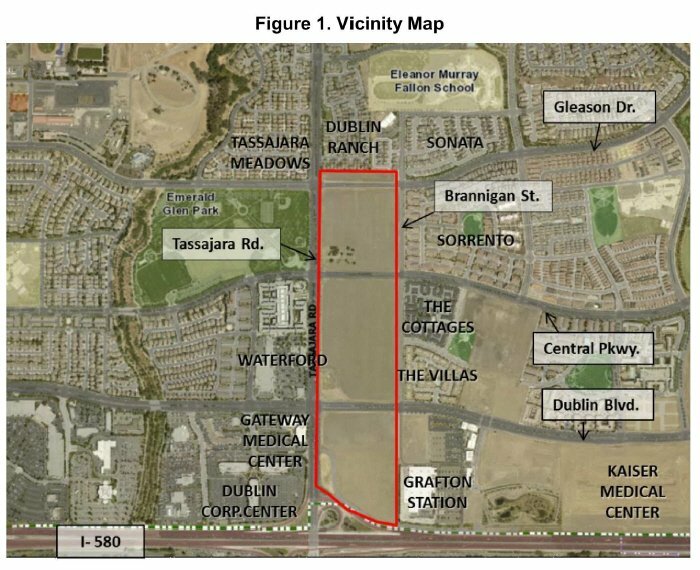 McNerney has already said he would move from Pleasanton to San Joaquin County. A first generation Indian-American whose parents are both physicians, Gill is pumped up in an area which has a large Sikh community involved in farming and agriculture and a big Hispanic labor force. 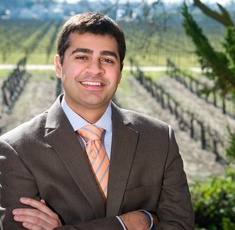 His forbears hail from Ropar in Punjab but he was born in a town called Lodi, California (not related to the dynasty or the town from the sub-continent; it’s a town most famous for Zinfandel wine) and speaks both Punjabi and Spanish. Gill has staked out positions on major issues for the agricultural industry, including his support for diverting water to the San Joaquin Valley and the creation of a guest worker program. Much of his campaign contributions are believed to come from alumni supporters at Princeton and UC Berkeley, and Indian-Americans in the medical, agricultural, and academic fraternity. California’s large and pedigreed Sikh community and the nearly 15 per cent Asian-American population in the district has already lined up to support him. 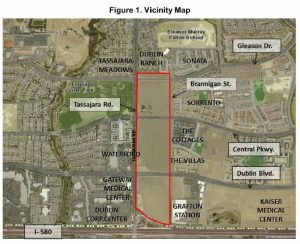 His parents, both obstetricians who moved to the area in the 1970s, are well known in the medical community and are plugged into a sprawling fund-raising network for local political causes, which Gill has tapped into from his campaign headquarters at the Flag City RV Resort near Lodi. Gill will turn 25 — the minimum age required to be a member of the House — a month before the June 2012 primary. He was 17 when Gov. Arnold Schwarzenegger chose him to serve as the student member of the State Board of Education. He attended Princeton University, graduating in 2009 with a bachelor’s degree in public policy. So Dublin, Pleasanton, Danville residents don’t really get to vote for Ranjit Gill. But the fact that voters in these cities are not part of his contituency now simply increase his chances of winning. 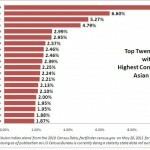 With the number of Indian immigrants settling in Tri Valley increasing at the rate it is, if anything, one would imagine increasing community organization and participation. 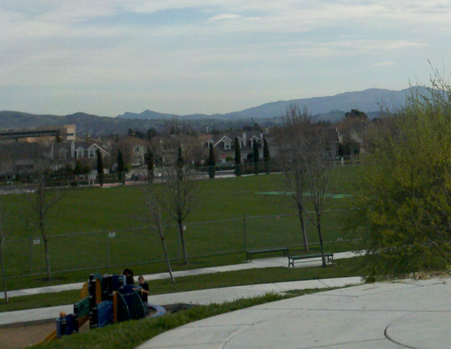 So its almost not heartening to know that Holi celebration in Tri Valley this year (2011) is not on a smooth ride. The TVIA (Tri Valley Indian Association) did an excellent job organizing Holi at the Emerald Glen park in Dublin last year (2010). 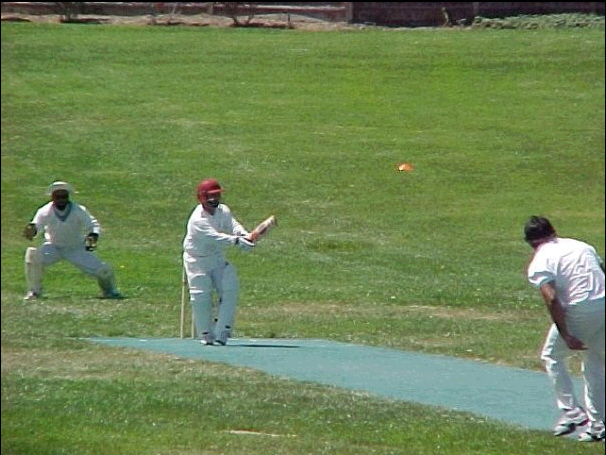 The event was well organized, and was a hit. There was music, dance, games, color and a lot of bonhomie, and participation. However, from there on, first the TVIA Diwali plan last year went awry (lack of participation/interest – read tickets not sold), and then this year no Holi because of lack of volunteers to organize it. Sure, the community needs helping hands! 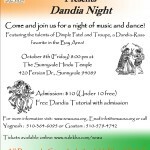 If you may want to go, please contact the center (925-336-1203, 510-593-5858, sanramon[a]us.artofliving.org) for participating in the food potluck. Other than this, surely some groups of friends may be getting ready for celebrating Holi. The official Holi date actually is March 20 (Sunday) – so don’t be surprised to see brethren from India in colors of holi in parks during the weekend of March 19-20. If any groups are forming, please spread the word around. 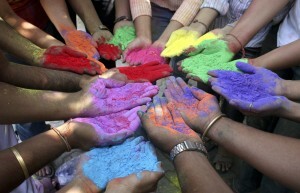 The more the people, the merrier and colorrier! 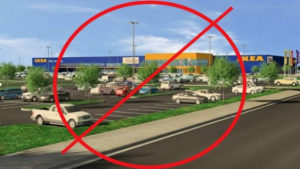 If you are willing to drive 25+ miles, there could be other good options:. For details, google the events. 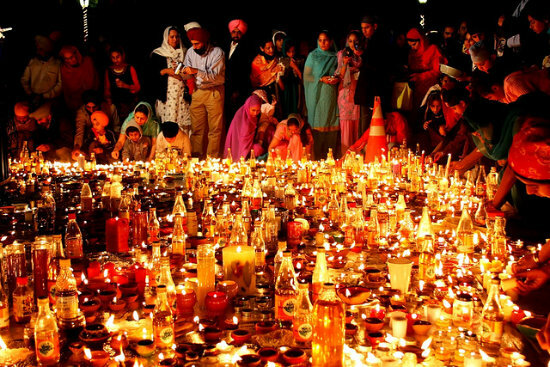 How is it like celebrating Diwali in bay area this year 2010? There’s been Dandiya dances all over in October. The desi stores are decked up with Diwali mithai and puja stuff. You could be planning get-togethers with friends and family. And now there are Diwali festivals being organized all over the bay area, and you could decide to attend one of those. There is general festivity in the air. Even the stores in the malls and elsewhere are beginning to show that holiday season is not far away. 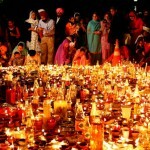 So if you would like to do any new purchases on occasion of Diwali – the Dhanteras Tradition, its not a bad time either. The lead this year, like others, for Diwali celebration is being provided by the temples of the region. The Bay Area Youth Vaishnav Parivar is organizing what they call ‘Diwali Celebration like back home in India‘ for five days from Nov 2 to 7 in Milpitas. 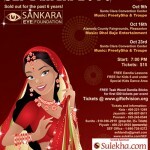 The Sunnyvale Hindu Temple is organizing Diwali Mela 2010 from Oct 29 – 31. The Livermore Hindu Temple is organizing special puja on Nov 5 and 6. The Fremont temple has the big festival going on on Nov 6. The Sikh Gurudwaras have a huge Diwali celebration and langar on Diwali as well. Adding to the festival calendar during this time, especially for the kids, is Halloween. If adults want to indulge, there is Halloween Party + Miss India Norcal at an event organized in Milpitas. 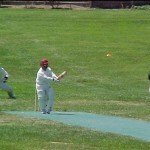 The businesses and other associations have been active as well. Cupertino Chamber of Commerce & Asian American Business Council organized Diwali Festival on Oct 8, and IIT Foundation had their cultural competition on Oct 2 in Campbell. 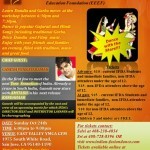 The Tri Valley Indian Association is also organizing their Diwali night on Nov 13 at the Hart Middle School, Pleasanton. 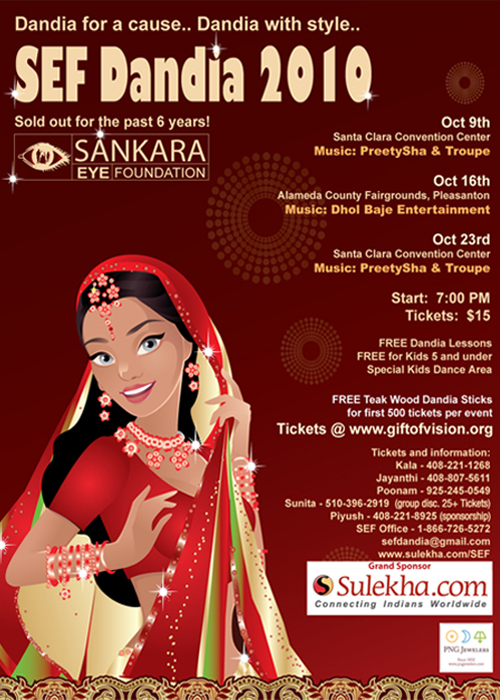 So if you are in Dublin, Pleasanton, San Ramon, Livermore, Danville – this could be your local Diwali festival. 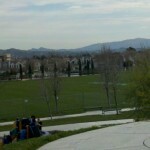 (UPDATE Nov 4, 2010 – the Pleasanton event stands cancelled). Private parties and potlucks on Diwali are common – then there are Diwali Meetups like this one if one is interested in for San Ramon Pleasanton area for Nov 6. 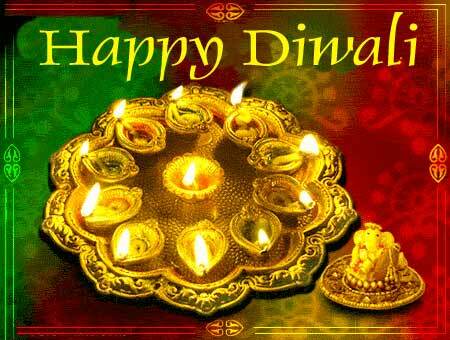 And finally, for the day of Diwali, plan on dressing up, lighting up your house, do rangoli, puja, eat a lot of mitthai but refrain from any fireworks. Well, next in the calendar is Navratri, and Dandiya or Garba nights that come with it. Garba is an Indian form of dance that originated in the Gujarat region. It is more similar to Western folk dance than to the presentational style of Indian classical dances such as bharatanatyam and odissi. The name garba comes from the Sanskrit term Garba (“womb”) and Deep (“a small earthenware lamp”). Modern garba is also heavily influenced by raas. Raas or Dandiya Raas is the traditional folk dance form of Vrindavan, India, where it is performed depicting scenes of Holi, and lila of Krishna and Radha. Along with Garba, it is the featured dance of Navratri evenings in Western India. 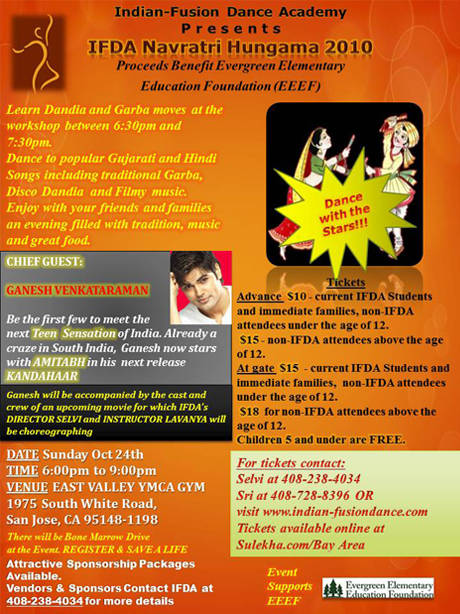 There is a huge interest in Garba amongst the youth of the Indian and in particular Gujarati diaspora in Garba. 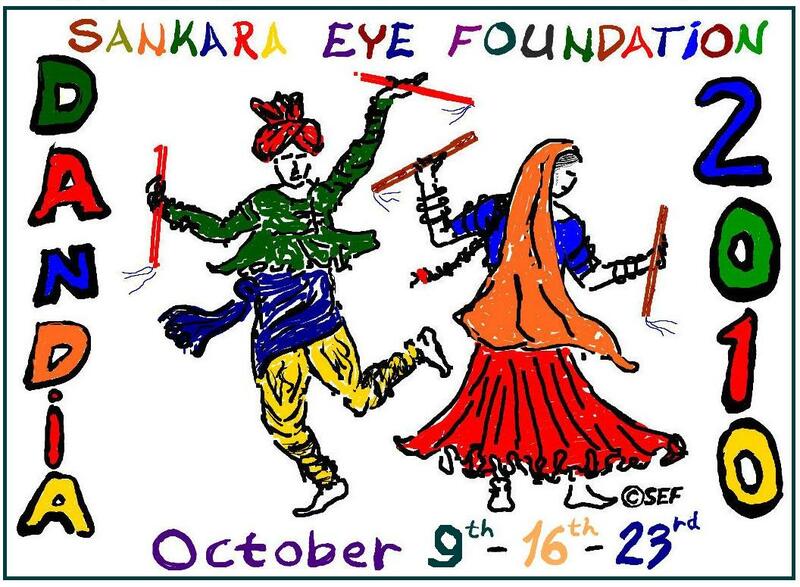 Garba and Dandiya Raas are popular in US where more than 20 Universities have Raas Garba Competitions of a huge scale every year with professional choreography. Both men and women usually wear colorful costumes while performing garba and dandiya. The girls and the women wear ghaghra choli, a three-piece dress with choli on the top and ghaghra as bottom, made of cotton with beads, shells, mirrors, sitars, and embroidery work, mati, jhumkas, necklaces, bindi, bajubandh, chudas and kangans, kamarbandh, payal, and mojiris and dupatta tucked in the Gujarati manner. Boys and men wear kafni pyjamas with a kediyu – a short round kurta – above the knees and pagadi on the head with bandhini dupatta, kada, and mojiris. 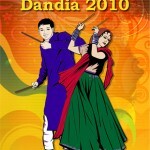 In Dandiya Raas men and women dance in two circles, with sticks in their hands. In the old times Raas did not involve much singing, just the beat of Dhol was enough. 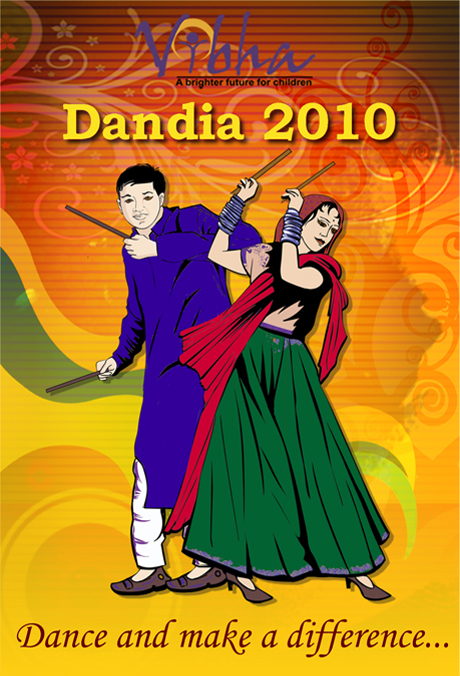 “Dandiya” or sticks, are about 18″ long. 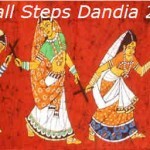 Each dancer holds two, although some times when they are short on Dandiya they will use just one in right hand. Generally, in a four beat rhythm, opposite sides hit the sticks at the same time, creating a nice sound. One circle goes clockwise and another counter clockwise. In US, people don’t form full circles, but instead often form rows. 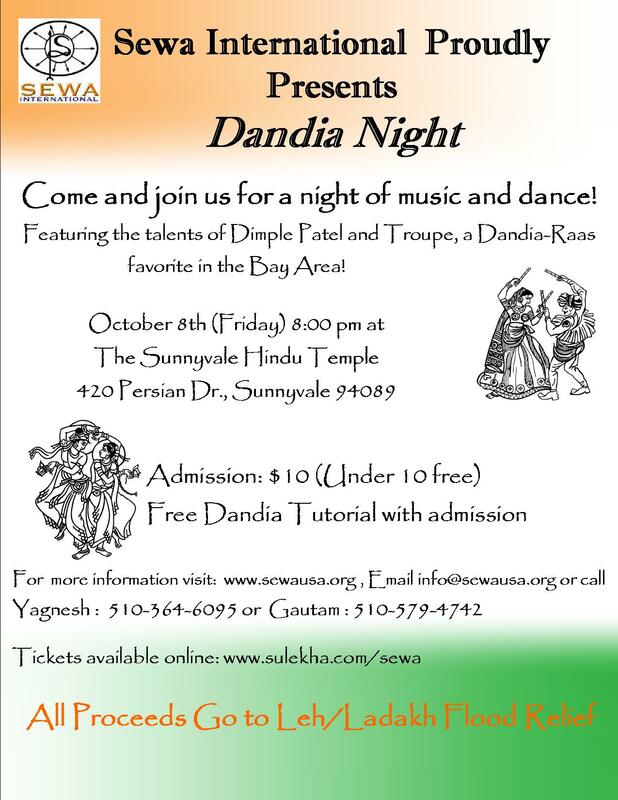 Participate, and enjoy Dandiya in the Bay Area. For Tri Valley folks, there is one on Oct 16 in Pleasanton! Others: Subsidized food; All proceeds will go towards Sewa International service projects. Free lessons for Dandia. 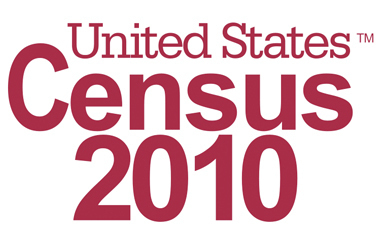 Cost: :$10 Current IFDA Students and immediate families, non-IFDA attendes under the age of 12. 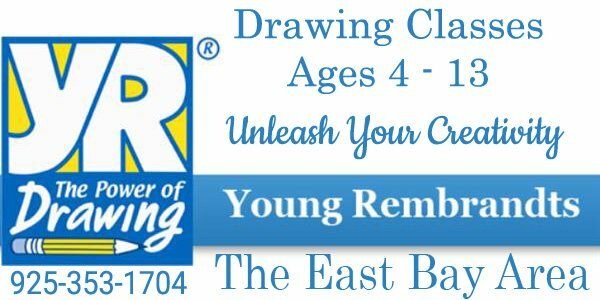 $15 – non-IFDA attendees above the age of 12.